Minimalist Brewing is about making great home brews while sticking to minimalist concepts: it needs to be easy, simple and fun to make and very enjoyable to drink – nothing more. Home brewing is about experimenting, trialing and playing with ingredients, and that is what I do and write about here. On this site I record, learn and teach about my BIAB (Brew In A Bag) process and beers, I write about my process and share my enjoyment of home brewing. The recipes I publish are experimental, sometimes good and sometimes, well, less good. I’m just a guy making beer at home. I make small batches of beer, usually 7-10 litres (around 2 gallons) in my small London flat that I share with my wife and young daughter. I work full time and brew when I get the chance, usually late at night when all are asleep and I get the peace to do a nice mash… I brew mostly using BIAB but I sometimes make quick extract-based beers or using spraymalt to boost my beers. My setup is small and minimalist: 1 big shelf for the tools, ingredients and for fermenting (aka The Brewery) and a small fridge for finished beers and ingredients (aka The Beer Fridge), as I said – simple. I post about 2-3 times a month as and when I get to brew (sometimes more often) or when I taste some nice beer to review or visit a brewery. The best way to stay in touch is to join our mailing list and get the latest posts to your inbox; just put your email below and you are sorted. I’m Gilad, the guy behind Minimalist Brewing. I started drinking beer a long time ago, developed a palate for nicer brews at some point (I got spoiled), and always dreamed of making beer myself. 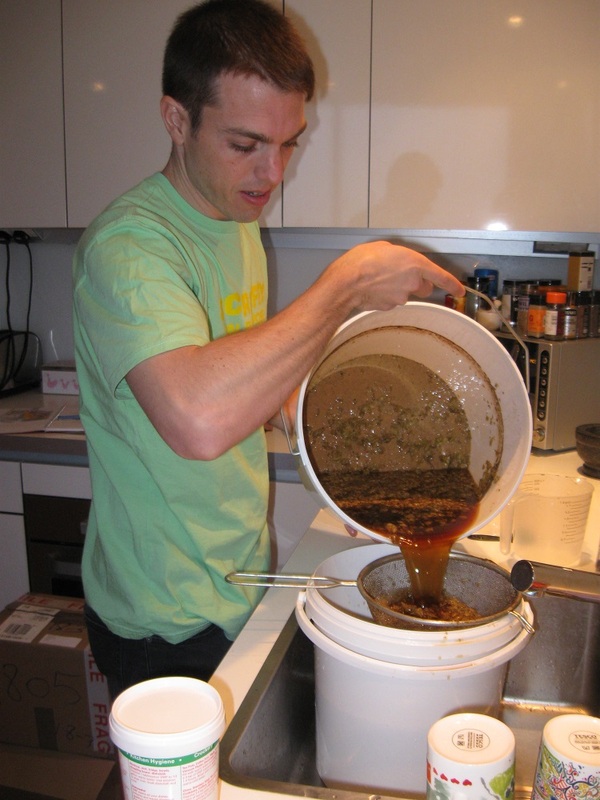 In mid-2013 I started experimenting with home brewing and learned pretty quickly that it came very naturally to me. It is a very similar story to my da d who started making wine and ended up opening a winery a few years ago, so maybe it is a family bug? Married with a child, I have many constraints on my time. I also work full time in the outdoors industry and am a big outdoors enthusiast (something about beer and the outdoors) and blog about it here. Between all of these commitments I find time to make beer, taste beer and go places to try even more beer. It is not about being drunk, it is about enjoying a good drink and beer has been my favourite for a pretty long time now. I hope you will like what you find here – it is simple and I try to be clear. I hope over time to offer better explanations in simple terms (so I can also understand) how to make better beers and enjoy simple brewing. If you like that idea and want to get my future insights and maybe guides, sign up and you will get the next post so you can also make good beer brewed in a minimalist way.